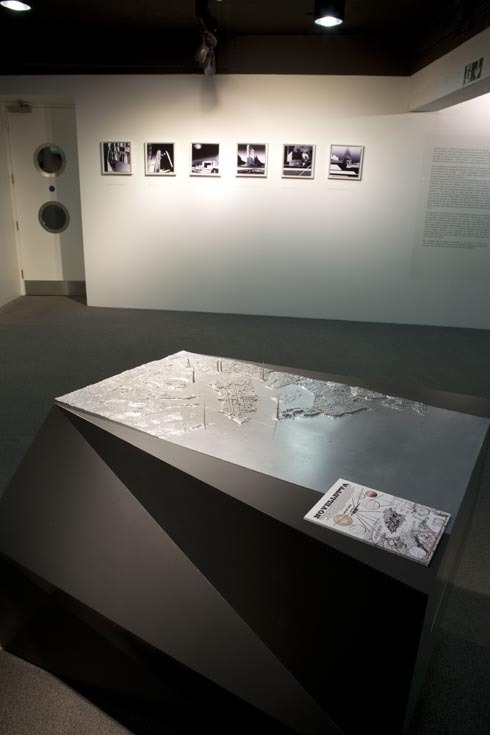 For the run up to the London 2012 Olympic and Paralympic Games, the curators at the LFA 2010 invited planners, architects and local communities to build their showcases in line with the theme of 'The Welcoming City'. The festival places architecture at the forefront of the cultural agenda of the United Kingdom and every other participating country. It is curated by the prestigious architectural institutions RIBA London, The Architecture Foundation and New London Architecture. AP participates with Novelletta, a project developed back in 2006, when it was conceived as a printed manifesto. Recently, however, the team of creators developed it into a fully fledged exhibition, a three-dimensional experience in line with AP’s ambitions, activities and theoretical, academic and educational interests. The exhibits, tangible manifestations of the concept born four years ago, feature projects which AP has worked on in connection with the city over the past decade, including the Marks & Spencer bridge, the Maritime Authority Trade Centre, Q-Bar, and the Barrakka Lift, among others. His Excellency Malta High Commissioner Joseph Zammit Tabona inaugurated the exhibition at the opening event on the 21st June 2010, giving a short speech which outlined the various stages of the city’s history, as well as its contemporary architectural ambitions that are projecting Valletta into an exciting new future. The opening evening proceeded with a short talk on 'Heritage, Identity and Utopia' by Konrad Buhagiar and Jens Bruenslow from AP Valletta and another talk on 'Method' by Riet Eeckhout and Ephraim Joris from AP London. Konrad spoke about the evolution of the city’s plan and the gradual transformation of its identity, whilst Bruenslow elaborated on the idea of utopia, and how a project like Novelletta poses possibilities for an alternate reality for the city, allowing an architectural practice to project its imagined reality for the city into a physical realm. Ephraim, from the London office, then spoke in detail about the process of creating architectural design out of existing parameters presented to an architect on his/her individual project discovery process. Riet’s contribution focused on the phenomenon of architectural drawings and how they serve as two-dimensional mechanisms for recording form in its changing states. The Novelletta exhibition was organized with the collaboration of the Malta High Commission in London, and is supported by the Malta Tourism Authority, Simonds Farsons Cisk and Meridiana Wines. The event is being considered for refunding under the European Regional Development Fund, Operational Programme I - Cohesion Policy 2007-2013, 'Investing in Competitiveness for a Better Quality of Life'.